Mass and food booths will be on Sunday, July 23rd at the Convento yard. Volunteers are needed on July 20th to set up the tent, tables and chairs. Volunteers are also needed to help serve at the food booths and to take down the tent/tables/chairs . If you can help, please call the Parish Office at 922-0122. We need your help to make this year’s Fiesta a success. Come help us celebrate San Luis’ 165th Anniversary. 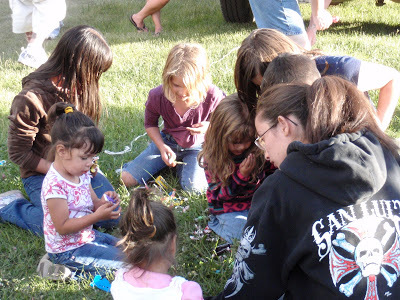 Procession, Mass, Crowning of Queen and Potluck all starting at 5:30 p.m.
Santa Ana Parade on Main Street at 10:00 a.m.
Sangre de Cristo Parish Dinner & Dance at the Parish Hall starting at 6:00 p.m.
Fireworks and DJ at Centennial Park beginning at 6:30 p.m.
Mass de Santa Ana at 11:00 a.m. 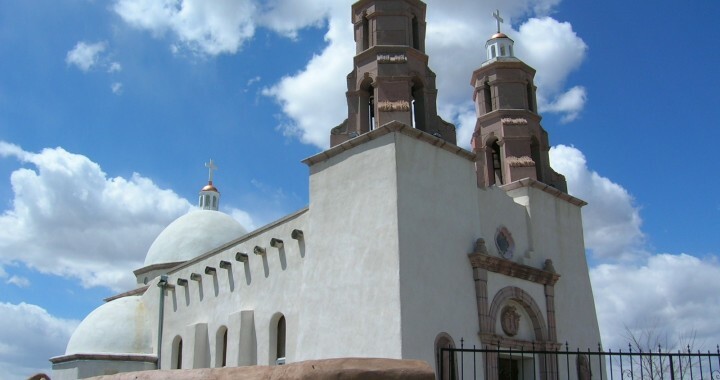 Car Show in the Church Courtyar from 9:00 a.m. – 5:00 p.m.
Sangre de Cristo Entertainment and Food Booths on the El Convento grounds beginning at 12:00 Noon. On Saturday, July 25th there will be a dinner/dance at the Parish Hall. Richard Olivas, San Luis residents and Sacred Heart Society will be coordinating and hosting this event. Please contact Richard for more information or to volunteer. Tickets for the dinner/dance may be purchased at the Parish Office for $12.00 per person in advance and $15.00 per person at the door. Menu will include Pulled Pork /Carnitas, Baked Potato, Salad, Vegetable, Dessert. Coffee and Tea. All these booths will need workers – contact your mission mayordomos to volunteer. Please donate baked goods and money to purchase food and supplies for the booths. Items needed to be borrowed: gas grills, filled propane tanks for grills & gas operated electric generators. You may contact the parish office regarding what donations are needed. Money may be taken to the parish office. 3:00 p.m. Join the Penitentes from New Mexico and Colorado to pray the Stations of the Cross on the Shrine Trail. 5:00 p.m. Procession and Mass for the Feast of San Isidro at San Isidro Mission Chapel in Los Fuertes – followed by Potluck Dinner. 8:00 pm. Candlelight Procession up the Shrine Trail followed by Litany of the Saints and Benediction. 11:00 a.m. to 2:00 p.m. Musical Entertainment and Booths in the Convent Yard. 4:00 p.m. Anniversary Mass with Bishop Berg, Knights of Columbus, and Mariachi San Luis at the Shrine Chapel. 6:00 p.m. Dinner with the Bishop and Dance at the Parish Hall. Limited Seating. Tickets $10 per person. Stuffed Pork Loin and the trimmings. Music by DJ Archie Medina. Call Brenda at 719-992-0122 for reservations. 10:30 Mass in honor of the Mexican Martyrs at the Shrine Chapel with Bishop Berg. 11:30 Potluck Picnic at the Shrine. 11:00 am – 6:00 pm– Food Booths, Games, Entertainment at Parish Hall/Convent Campus. After Mass through 4:00 pm – Food Booths, Games, Entertainment at Parish Hall/Convent Campus. **Schedule is subject to change due to time constraints, weather and/or cancellations. The Festival begins with a procession in Chama at 5:30 on July 26. The procession will be followed by a mass, the crowning of the Santa Ana Queen and attendants, and a potluck. There will be a parade at 10:00 a.m. on both Saturdays and Sundays. Mass will follow the parade on Sunday. Join us on Sunday after mass for food and entertainment. Join us on May 4th at 6:00 p.m. at the Parish Hall in San Luis to help Father Heriberto & Father Damian celebrate their 8th anniversary to the Priesthood. Let’s make this a joyous occasion by having all of our Parish Missions come together as one.